Holy week is the time between Palm Sunday and Easter. This year 13 Americans had the opportunity to spend Holy Week in Haiti. The team was made up of 10 young people and 3 adults. 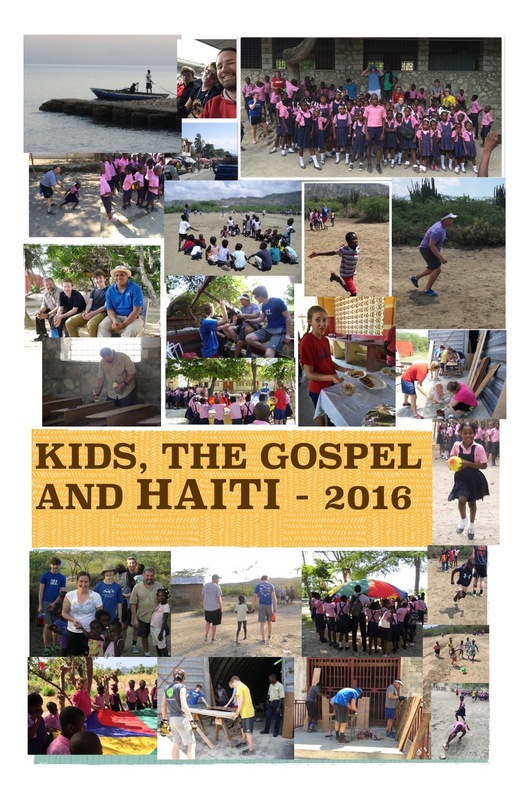 The main purpose was evangelism, disguised as day camps for the 1st -6th grade kids in 5 Haitian school. The team played soccer with the kids, played school yard games and orchestrated relay races for the students. Before all the fun got started we gathered the Haitians students together, performed a skit for them and then shared the Gospel. There were countless students who gave their lives to Christ during the week. At night we went back to the school (each Mission Possible school has a church associated with it) and showed the “Jesus” film. What an amazing experience to see people watch this movie and respond to its Gospel message. One of the coolest parts of showing the film was that the churches were never big enough to hold everyone and every night there were people outside looking in the windows just to get a glimpse of Jesus. At the end of the film 2 or 3 students stood up in the front of the church and gave their testimony. It was awesome to see and hear these young people share what God is doing in their lives. We don’t have exact numbers of how many people received Christ or were even in attendance, but my low guess would be 1300-1500 people heard the gospel during the week. Pastor Herve asked me (David) to assist him during their baptism service, right there in the ocean. During that service we baptized 26 people, 24 Haitian and 2 Americans, with one being my son Keaton. How awesome is our God! Haiti is an underdeveloped country, but it is a country that has taught our team so much about faith and how important sharing our faith is. The participants of the trip were Ryan Metzger, Nathaniel Spears, Jenn Spears, Caleb Peirre, Gabby Lyons, Griffin Rath, Owen Rath, Keaton Rath, David Rath, Ted Criblez, Erin Long, Hunter Copus and Drake Heidepriem.